Which Internet Connection Works Better–Droid Smart Phone or Mi-Fi? People have asked us this question and we give a stock answer because our personal experience has not pointed out a difference … until now. The answer is a definite … “Yes!” That’s right, Yes, sometimes the phone connects better and sometimes the Mi-Fi (mobile hostpot) connects better. In case you don’t know what I’m talking about, we sometimes use our Droid Smartphone, with Verizon service, tethered to our computer to provide an Internet connection to our computer. You can see more detail included in this ‘Gabbing with the Geeks’ video. Last week we were staying at the Thousand Trails park Kenisee Lakes in Northeast Ohio. The Verizon signal wasn’t great, but it worked fine with our phones tethered to our computer. Our mobile hotspot often couldn’t connect at all, and when it did it was abysmally slow. So, our preferred method there was to use the phones. 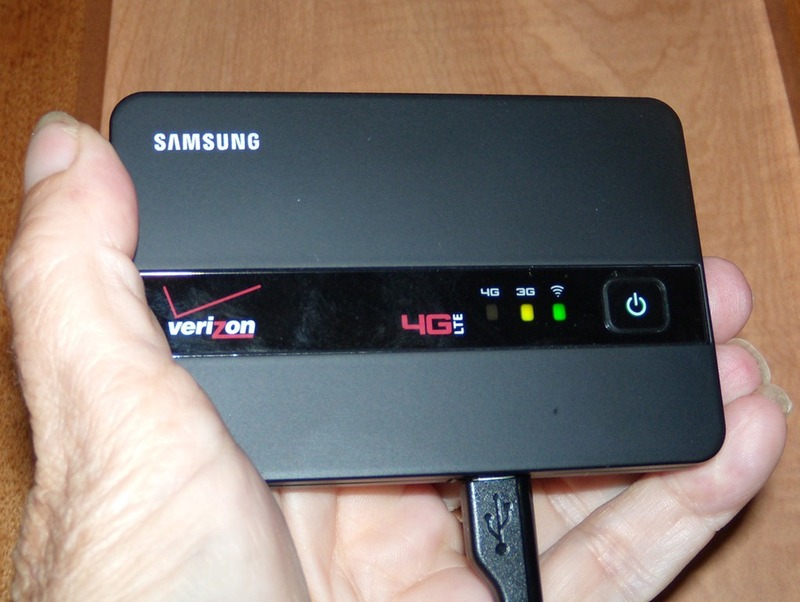 The most popular way to connect to the Internet on the road today is the ‘Mobile Hotspot’ – sometimes called a Mi-Fi. Most major carriers offer them, Verizon, Sprint, AT&T. Ours is a 4g Hotspot from Verizon. This little device connects to the Internet and then broadcasts a Wi-Fi signal for up to 5 nearby devices to connect. We are currently in the Adirondacks of New York, and Verizon signal is low to non-existent, but this time, the Hotspot seems to be better at getting a connection than the phone. So, we connect our computers via Wi-Fi to the hotspot, and, if we want to get our email or other web content on our phone, we can connect the phone to the Wi-Fi as well. If you have a Droid, and don’t know how to do that … from your home screen, touch the menu button and choose Settings, then Wireless and Networks, then Wi-Fi to turn it on. Next, you touch Wi-Fi settings and find the Wi-Fi network you want to connect to – realize you may need to know the password. Now the phone is connected to the Internet using the Wi-Fi rather than using it’s own 3G connection. Published by MrsGeek, in Blog. Tagged with Droid, Mi-Fi.